Just a typical Friday digging through boys' closet. Cute and smart, as always !! Gorgeous outfit. 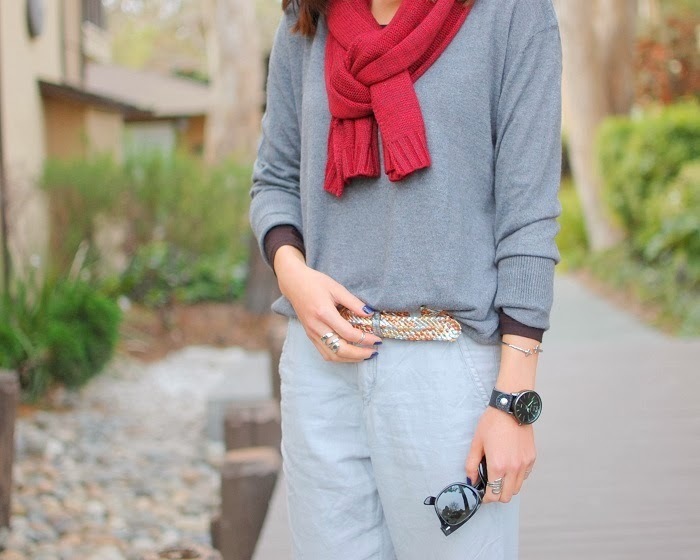 Really love the soft slouchy separates. Looks really lovely together and perfect for a laid back casual day. Love this casual look so relaxed and cool! I love borrowing from the boys. Great Look. Love the sunnies. LOVEEE your sytle girl!! Keep going! Nice!! I like it a lot!!! Lovely outfit post! Those booties are adorable! If you'd like, come and join my blog's giveaway! Giving away 2 YSL items :).